Gifts of stock often provide tax benefits to you, while allowing you to make more generous gifts to protect your rivers. Contact Corey Kurtz, Development Director, for more information or gift transfer instructions. You may also reach her at 413-772-2020, ext. 202. Give the gift of a beautiful river…all year long. A gift membership to the Connecticut River Conservancy shows you care about the recipient – and the environment. Help protect the river for future generations by including CRC in your estate plans. CRC’s Long River Society honors members who make legacy gifts. You may join with a bequest or other planned gift. You can play your part in protecting the Connecticut River and its watershed while receiving recognition for your business’s commitment to the environment. Find out more about sponsorship opportunities. There are many ways you can support your rivers through your workplace. Learn more. From bake sales to dress-down days, there are many ways to raise funds to support your rivers. Contact Colleen Bent, Development Officer, for more information on how you can make a difference. 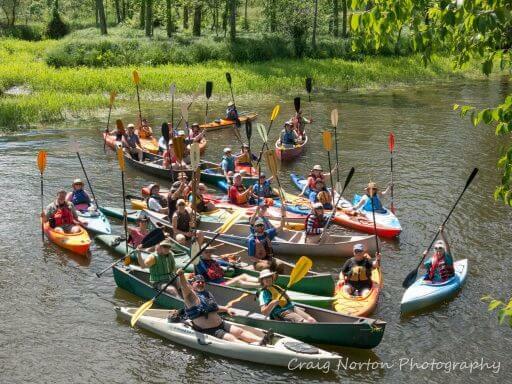 River lovers show their support for CRC every year on Valley Gives Day. Get involved in this one-day fundraiser for your watershed. Turn your bitcoin into real-life results for your rivers. We invite you to make a one time gift or set up a monthly recurring gift. Or get in touch with us to discuss other options. Contact Corey Kurtz, CRC Development Director, at 413-772-2020 ext. 202.